One of the most complicated watches of 2017, with over 700 parts in the movement. 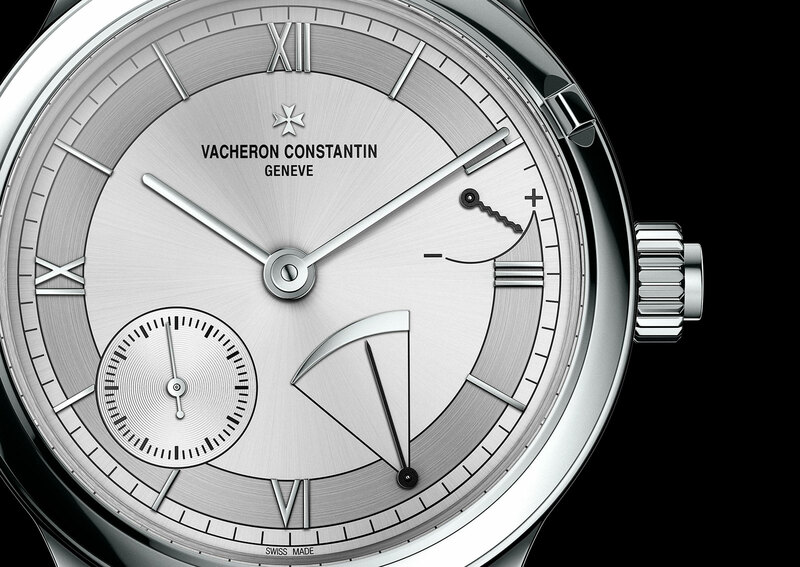 Vacheron Constantin claimed two of the most complex watches unveiled at SIHH 2017, both million dollar masterpieces. 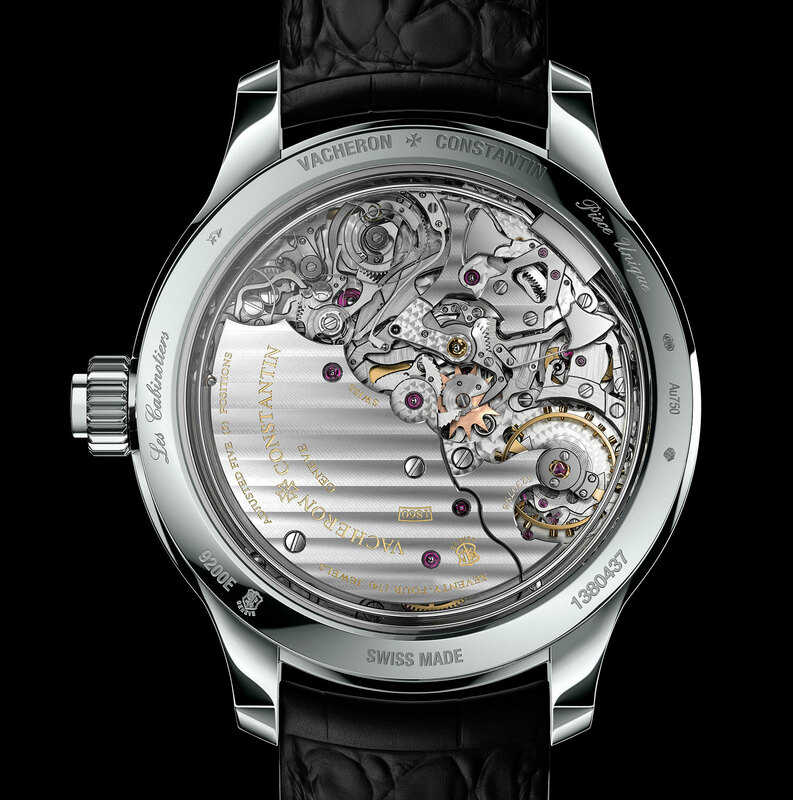 The first being the two-faced Celestia Astronomical Grand Complication, while the second is the Les Cabinotiers Symphonia Grande Sonnerie 1860, the Geneva watchmaker’s first grande sonnerie wristwatch. The Symphonia is major, both physically and metaphorically. 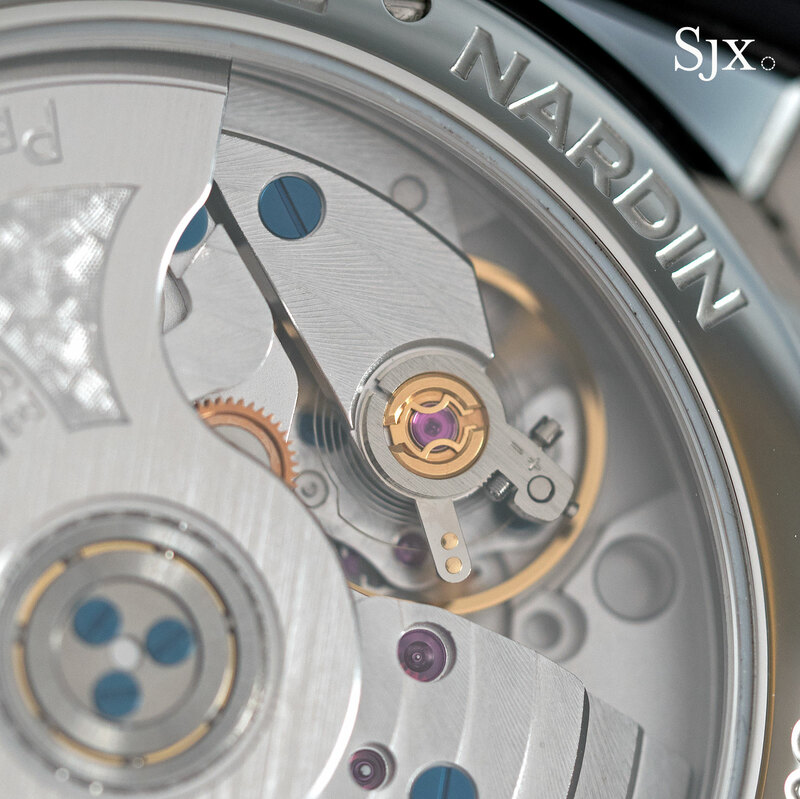 The case is a large 45mm in diameter and 15.1mm high, while the movement is made up of 727 parts. 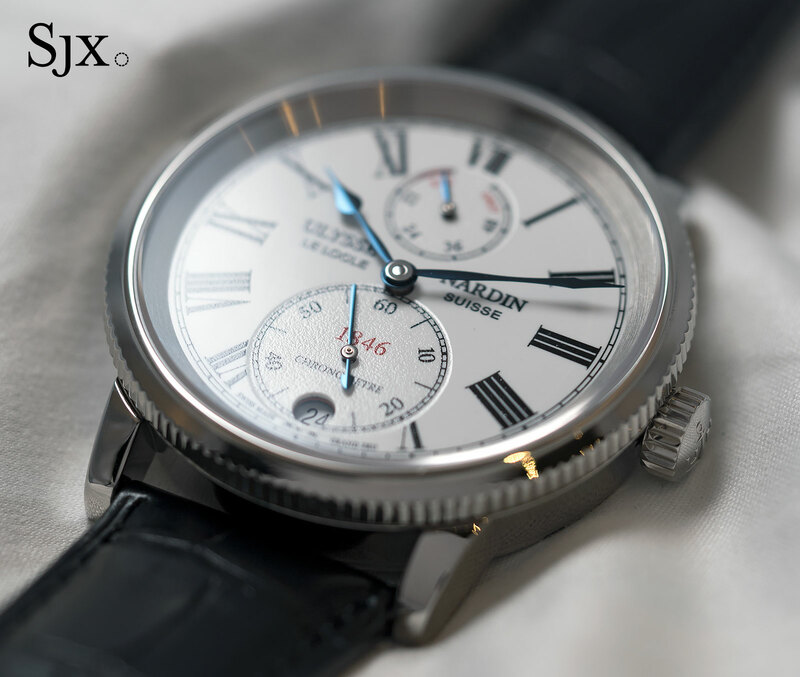 Large as it is, the case is beautifully styled, with a narrow, arching case band and a fluted, high back, both of which help reduce the apparent thickness of the watch. 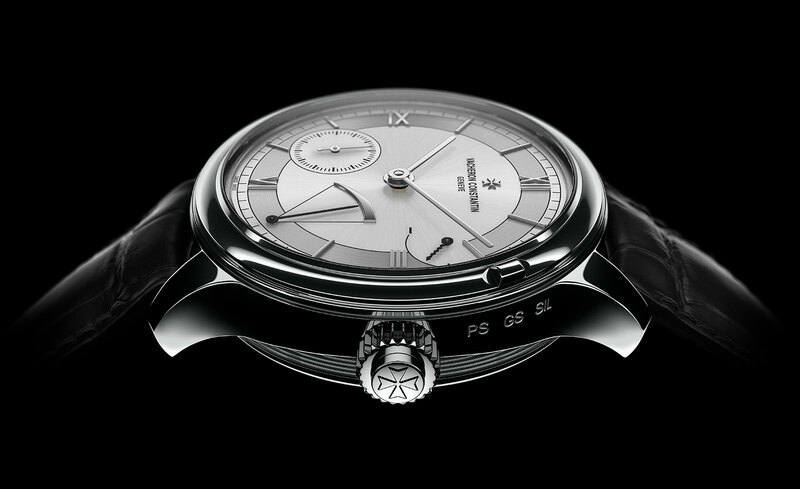 Typical of a grand sonnerie, the Symphonia strikes the time as it passes, or en passant, much like a grandfather clock. It can either strike both the hours and quarters on the hours and quarters, or just the hours at the top of each hour. And it can also be put in silent mode, with the functions selected via the rotating bezel with a tab at two o’clock. As is convention for the complication, the movement has two barrels, one to power the timekeeping mechanism and the other for striking. Turning the crown in one direction winds one barrel, and vice versa. The striking power reserve of 20 hours is indicated at two o’clock, while the 72-hour power reserve for the time is shown at five. The watch can also strike the time on demand as a minute repeater, via the button integrated into the crown. And it has various safety features built in, to prevent damage if anything is accidentally activated when it’s not supposed to be. For instance, while the chiming mechanism is going, the time setting mechanism is disengaged and only comes back online when the strikes are completed. 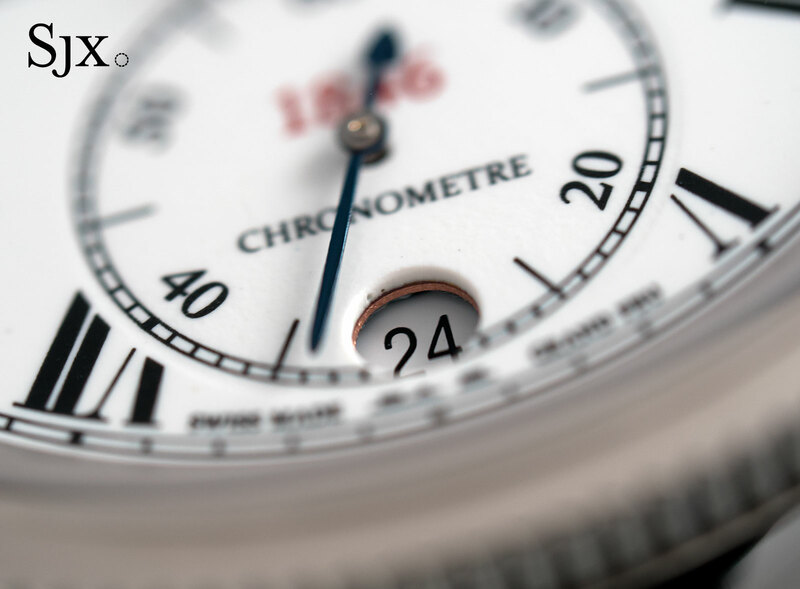 Many of the features of the watch, as well as the position of the indicators on the dial, are familiar, being nearly identical to that of the Greubel Forsey Grande Sonnerie announced just a few days earlier. 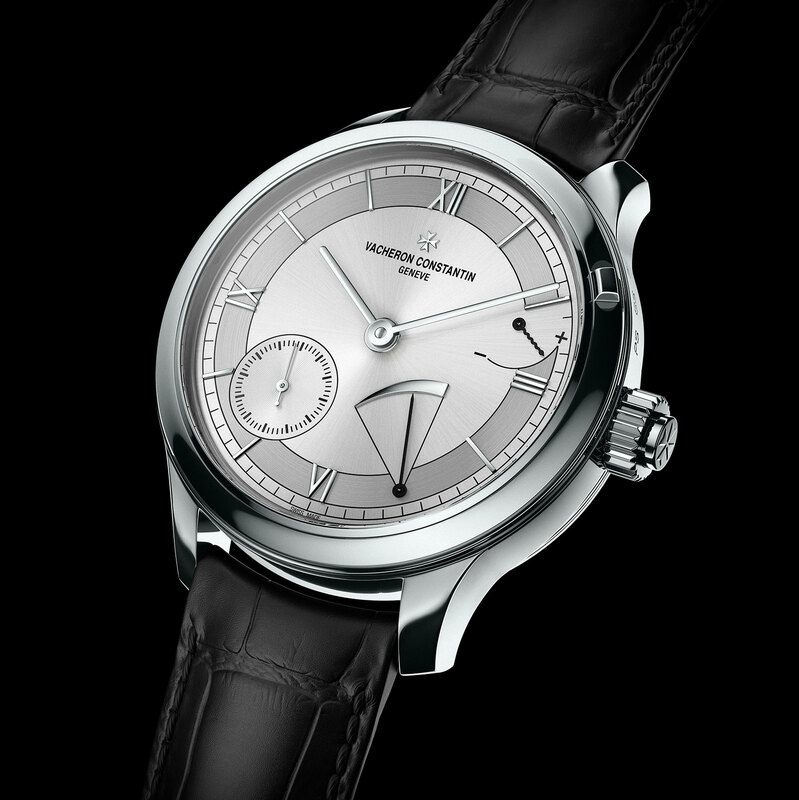 While the specific Symphonia wristwatch shown here is one of a kind – the two-tone silvered dial is inspired by Vacheron Constantin’s classical midcentury minute repeating wristwatches – the watch is made to order, with various options for customisation. While the Greubel Forsey has notable additional features, including an incline tourbillon and automatic winding for the second barrel, the striking mechanism and basic construction are similar to that of the Symphonia. 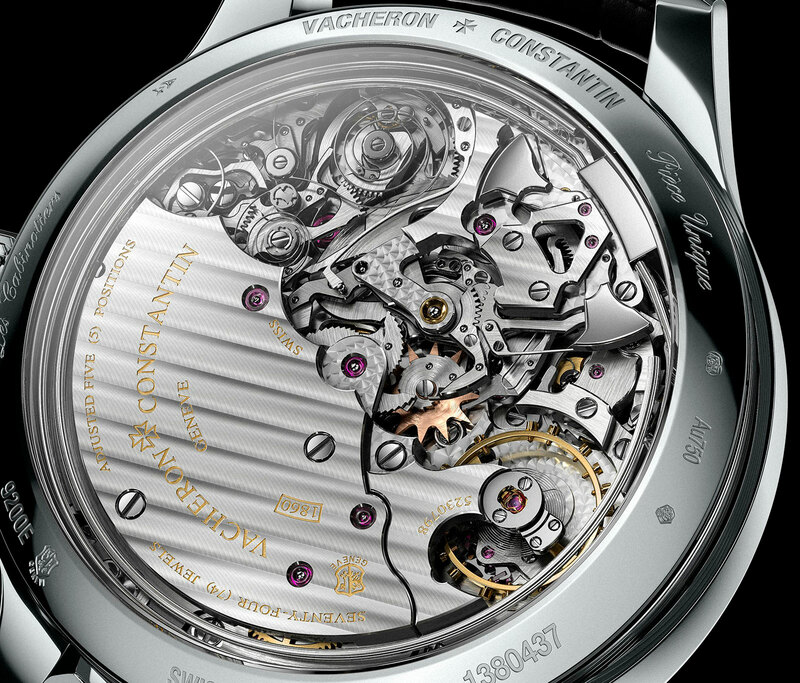 Neither Greubel Forsey nor Vacheron Constantin have official comment on this, but it is worth noting that Greubel Forsey’s sister company, Complitime, is a noted builder of complex movements for names like Harry Winston. 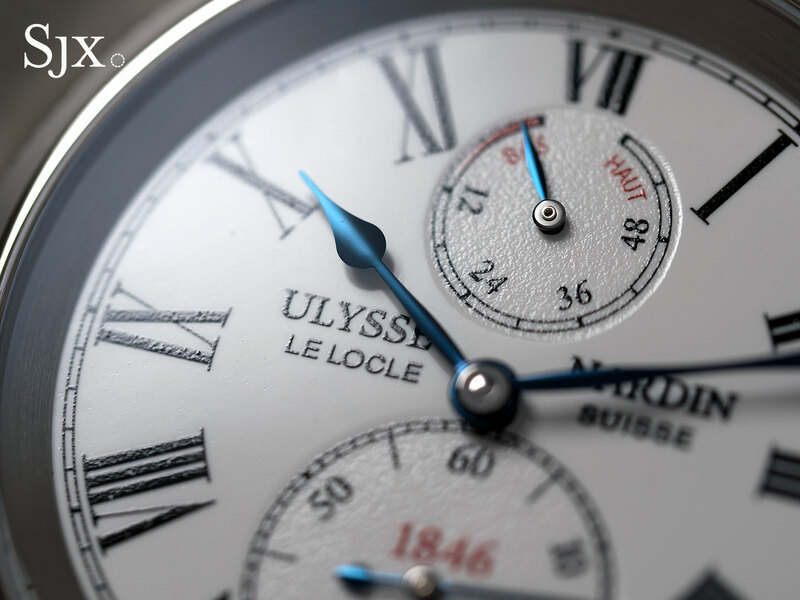 The Symphonia Grande Sonnerie 1860 (ref. 9200E/000G-B099 will be made in tiny quantities, with only a handful leaving the factory each year, with the price starting at SFr1.15m. 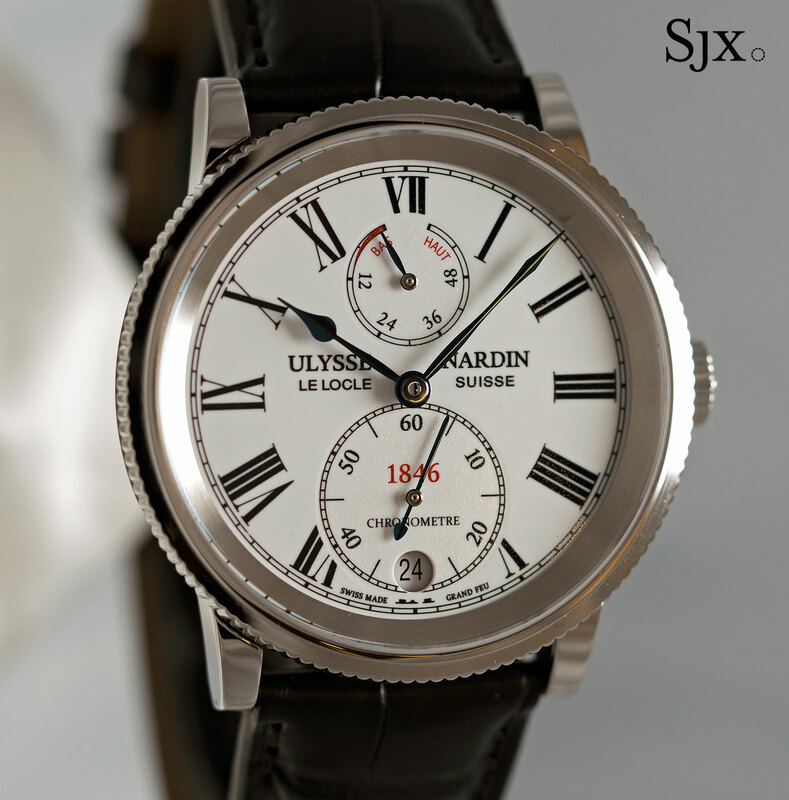 A quartet of watches modelled on watches from Ulysse Nardin's distant, and more recent, history. While brands like Longines regularly issue palatable remakes of vintage watches, that has never been a Ulysse Nardin habit – until SIHH 2017. 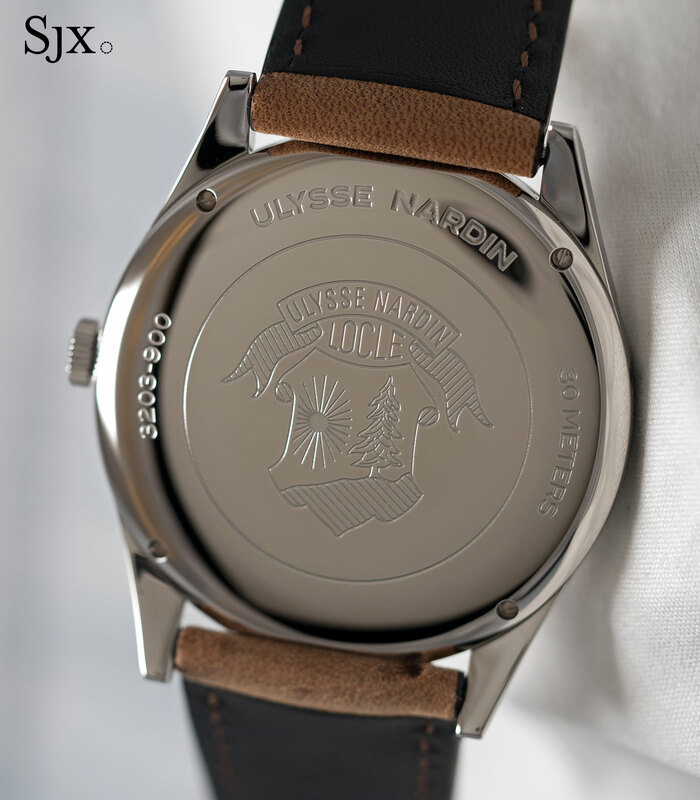 The fair saw Ulysse Nardin unveil the Vintage Collection, comprised of well designed four watches inspired by vintage timepieces, including the clever Perpetual Ludwig from just a decade ago. 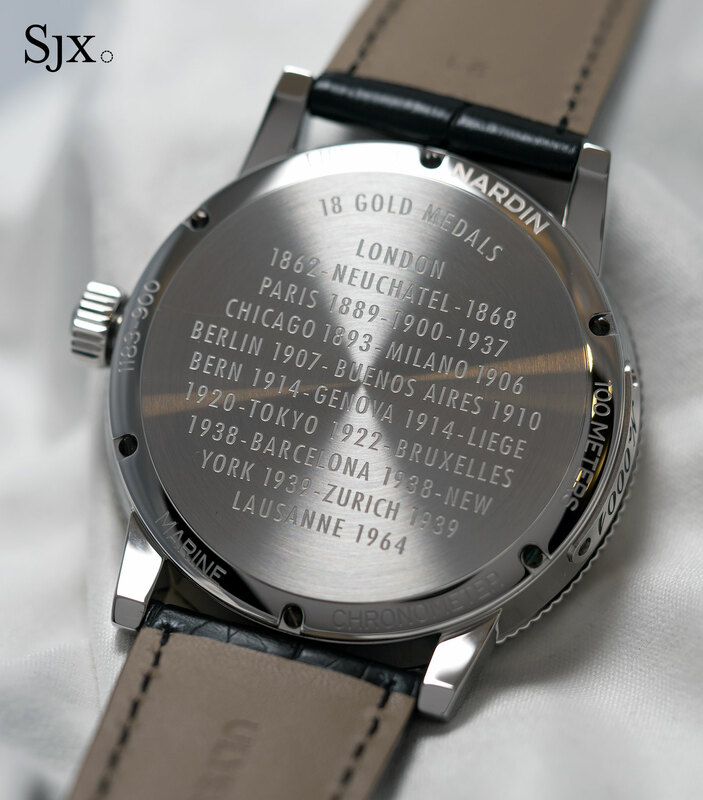 All four models are individually numbered on the case, but part of the regular collection. They are all stainless steel and equipped with in-house automatic movements. 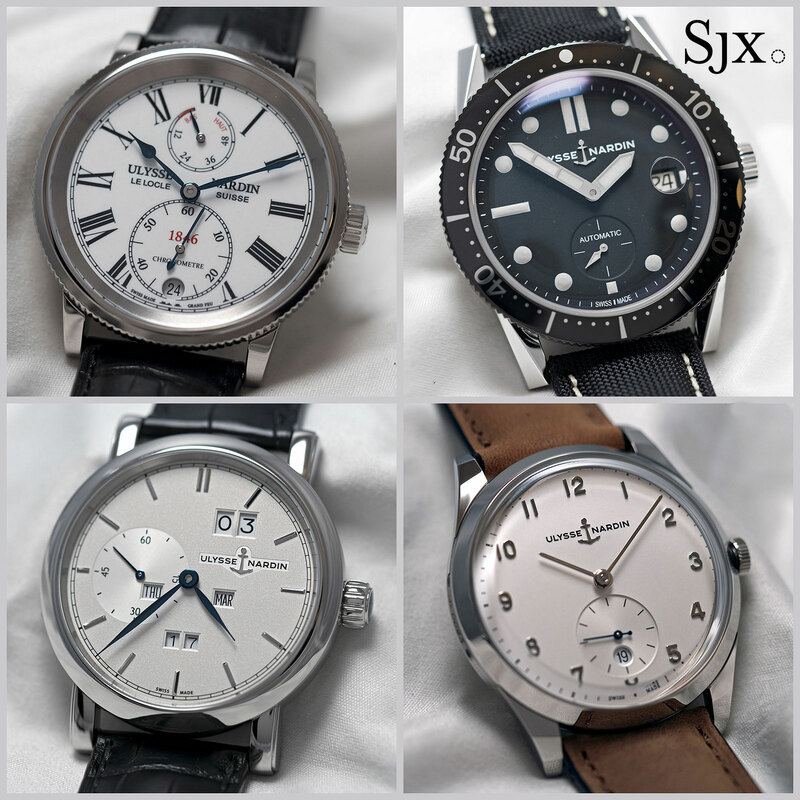 So while they are priced like upmarket mechanical watches, the price tags are are relatively accessible. Here’s a look at the entire Vintage Collection, complete with specs and prices. 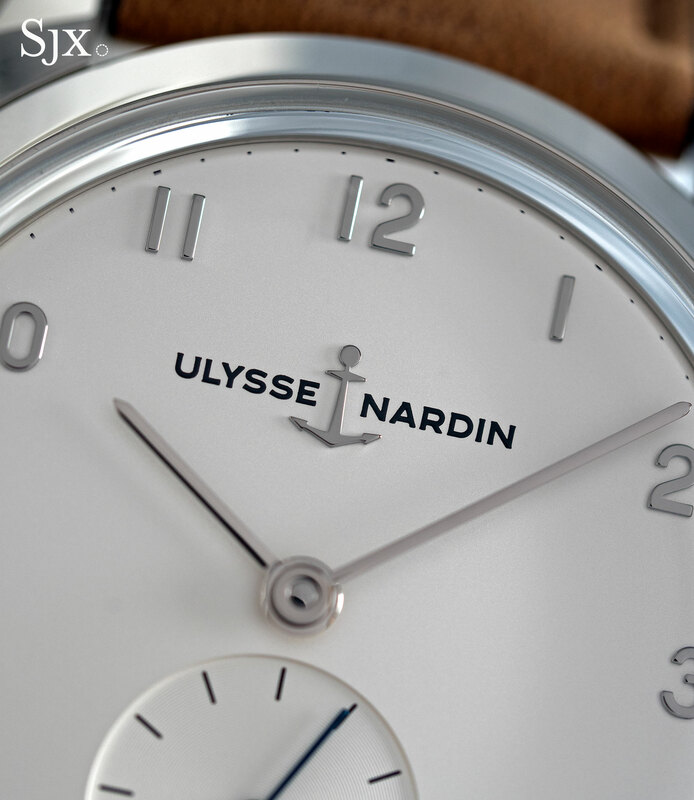 Historically the oldest of the four is inspiration for the Classico Paul David Nardin. 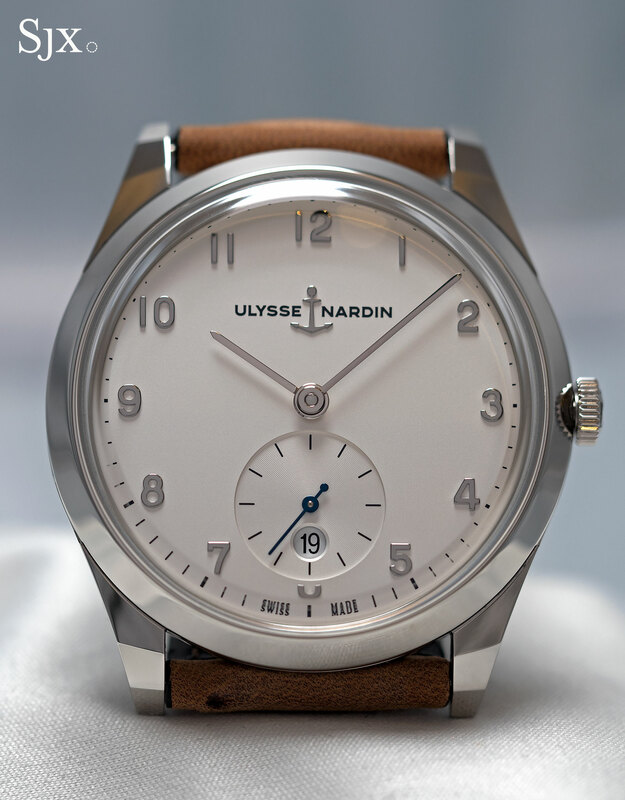 Looking exactly like a mid 20th century gentleman’s wristwatch, this is named after Ulysse Nardin’s son and based on a 1945 wristwatch. Its designers got all the retro details right, from the high domed sapphire crystal to the convex dial with applied. Most importantly the case middle is narrow, as it would be on a vintage watch. And the brushed flanks are a satisfying extra. 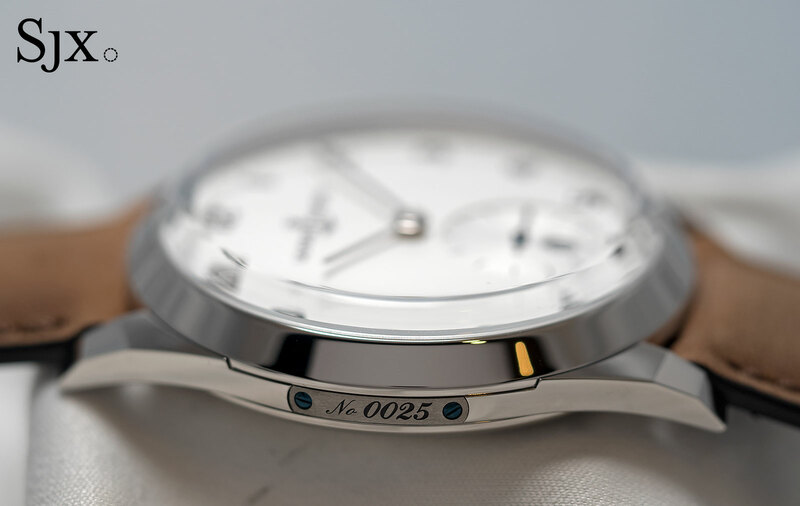 The thin case middle is compensated for by a domed back, which allows the relatively thick movement to fit, while still retaining a slim appearance. While slim the watch is good 39mm in diameter, significantly larger than the 33mm original but well sized for modern tastes. One detail stands out as modern, however, the date window. That’s a common affliction amongst vintage remakes, and fortunately in this case it does not look exceedingly out of place. 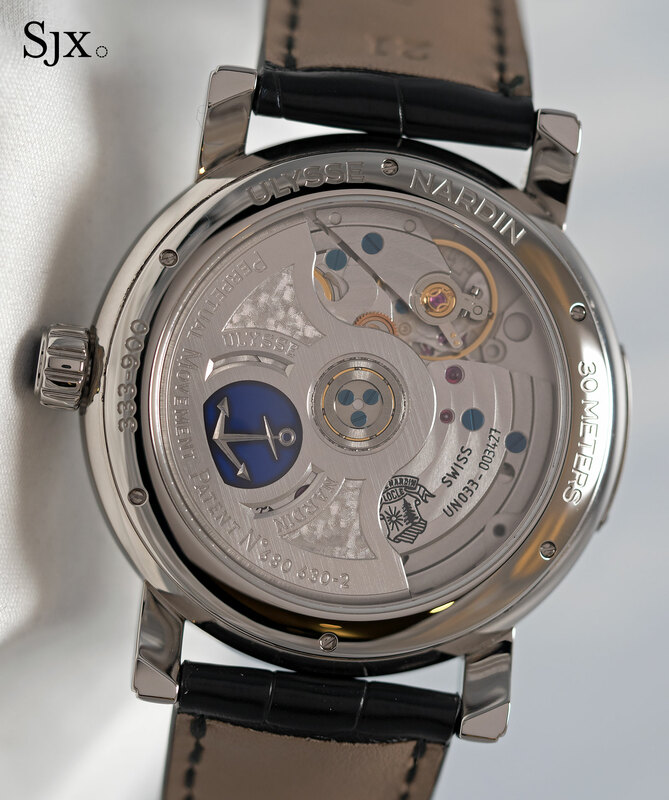 Though hidden beneath a solid back, the movement inside is the automatic calibre UN-320, an in-house movement developed by Ulysse Nardin that has a silicon hairspring, escape wheel and pallet fork. The Classico Paul David Nardin (ref. 3202-900) is priced at SFr9500 or S$14,700, and will be available starting April 2017. 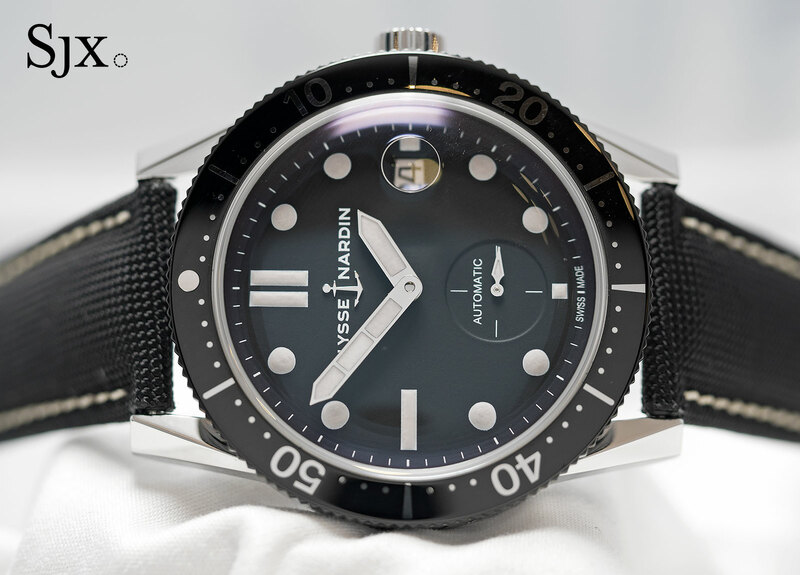 This is based on a 1964 automatic watch designed for scuba divers. While the original was 38mm, the Diver Le Locle is 42mm in diameter, making it feel quite large. The size of the Diver Le Locle gives it away as a modern watch, the vintage-inspired design details are largely well thought out, including the domed sapphire crystal with a magnifier on its underside. 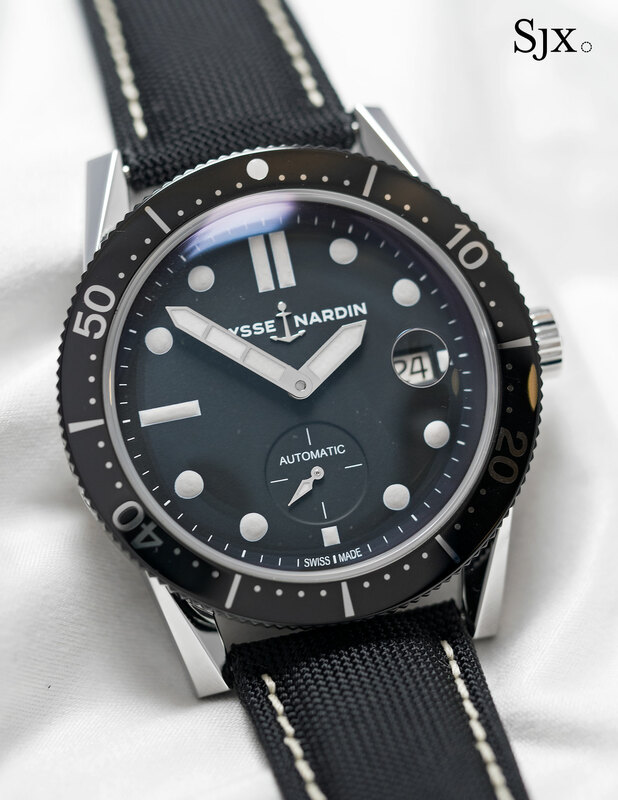 Named after the Swiss town where Ulysse Nardin is headquartered, the Diver Le Locle may be large but it is relatively slim, for the same reason as the Classico Paul David Nardin. The case band is thin, with a relatively high bezel and back. 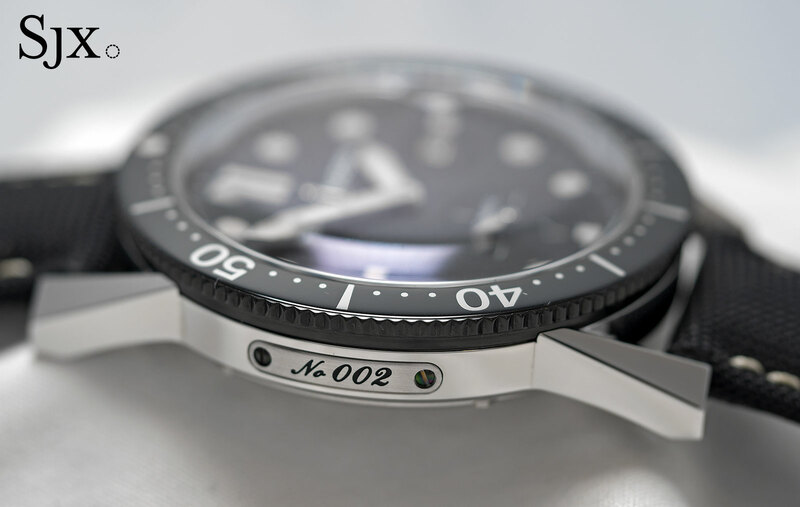 Rated to a modest 100m the Diver Le Locle has a glossy black aluminium bezel insert and off-white Super-Luminova on the dial and hands that mimics the look of the tritium used on vintage watches. With a black dial and large hands typical of scuba divers’ watches of the 1960s – brands as diverse as Breitling and Breguet also made similar timepieces – vintage original had a lance-shaped, central seconds hand. That has been replaced by a sub-seconds at six o’clock on the Diver Le Locle, a consequence of the UN-320 movement inside (which is the same calibre as in the Classico Paul David Nardin). 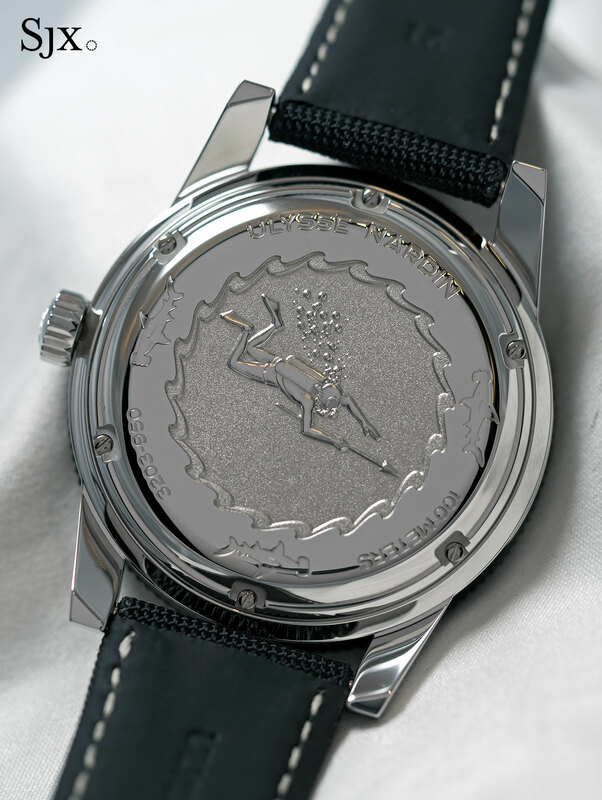 The movement is hidden under a solid back featuring a relief casting of a scuba diver, a motif taken from the back of the 1964 original. 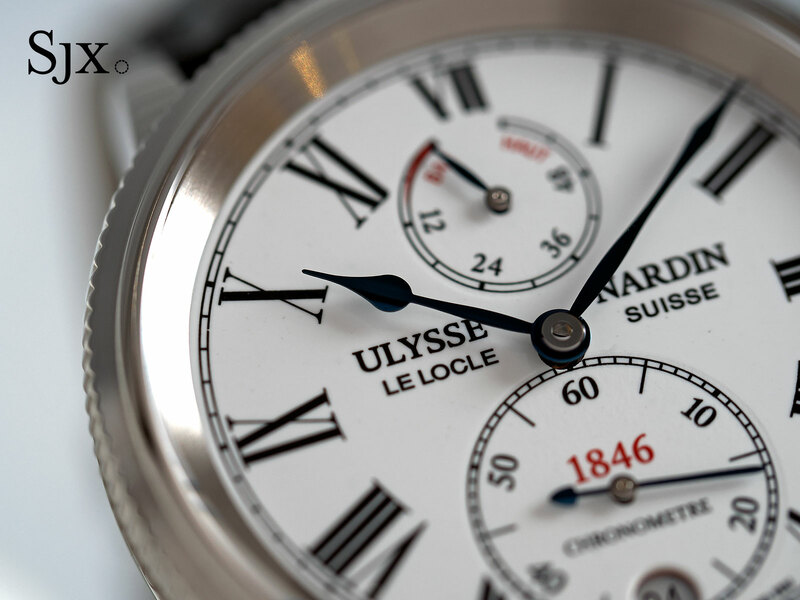 The Diver Le Locle (ref. 3202-950) will be available starting April 2017, priced at SFr9600 or S$14,800. 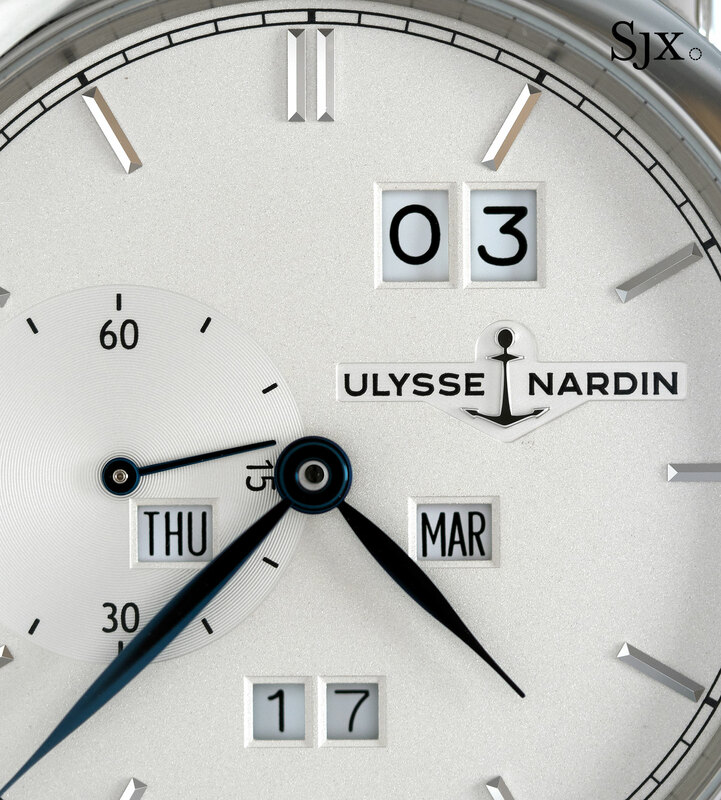 The next two timepieces of the Vintage Collection jump forward into Ulysse Nardin’s recent past, both being based on watches introduced in 1996 for the brand’s 150th anniversary. 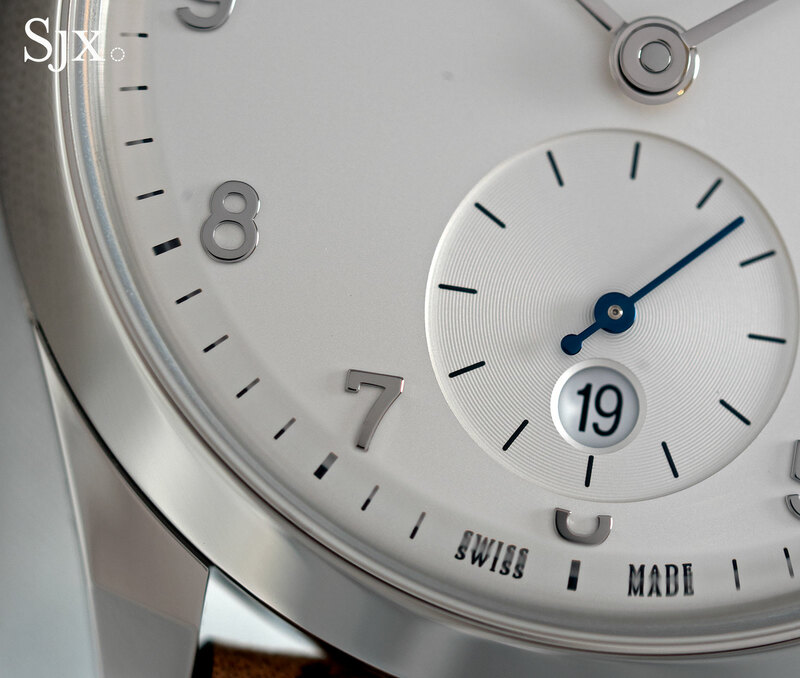 The first is the Marine 1846, based on the Marine Chronometer 1846. 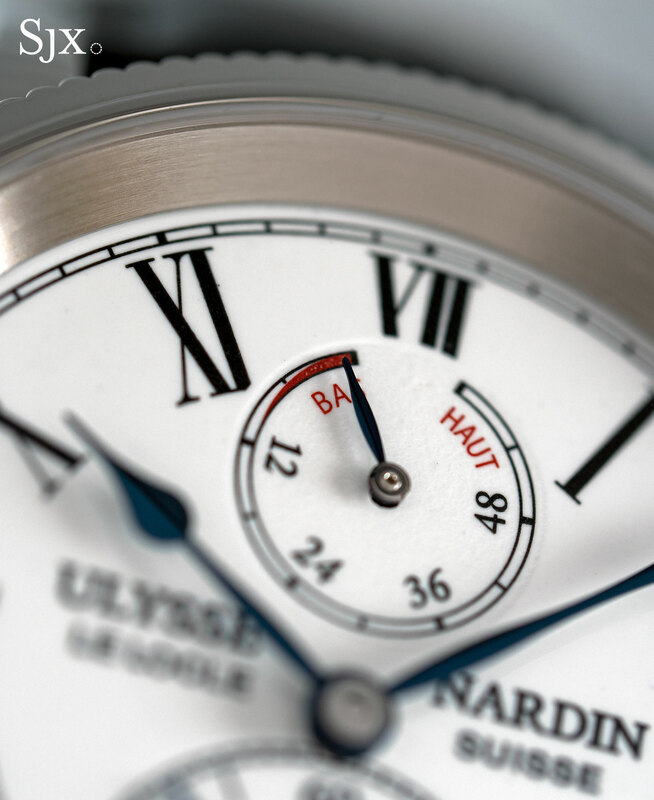 Based on the precision gimballed timekeepers made for ships – Ulysse Nardin was one of Switzerland’s leading makers of such precision clocks – the Marine 1846 is essentially a scaled down version of a marine chronometer, with a distinctly functional, yet classical look. 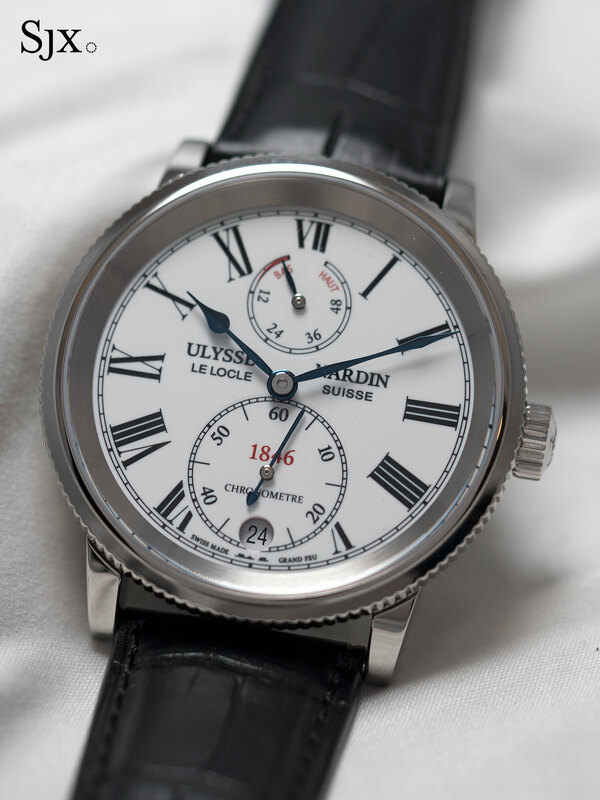 The dial has all the key elements of a marine chronometer, including oversized Roman numerals, an extra-large sub-seconds, as well as a power reserve display at 12 o’clock. 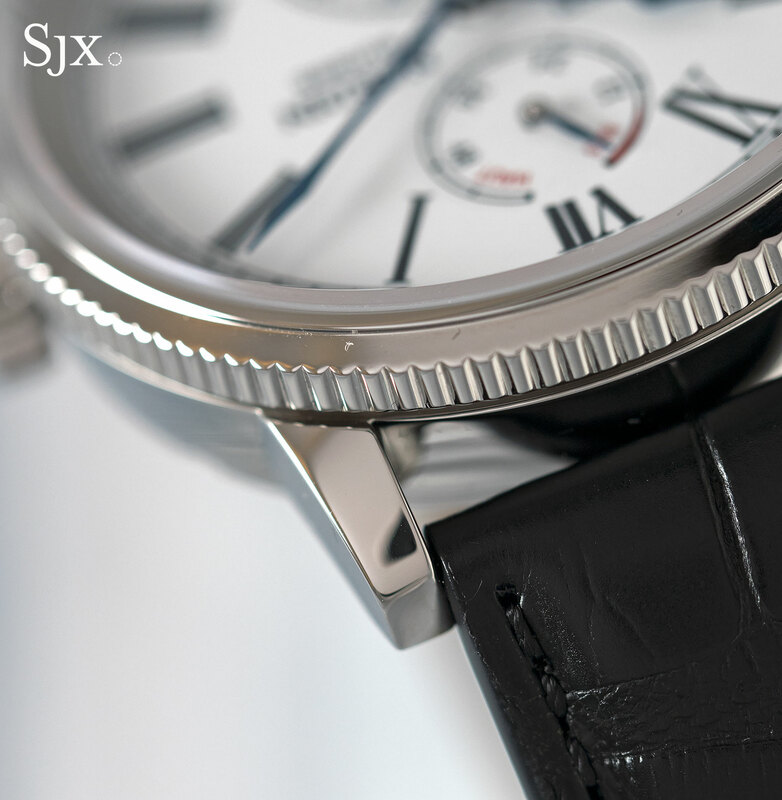 Even the wide, sloping flange around the dial is also found on a real marine chronometer, as is the notched bezel. 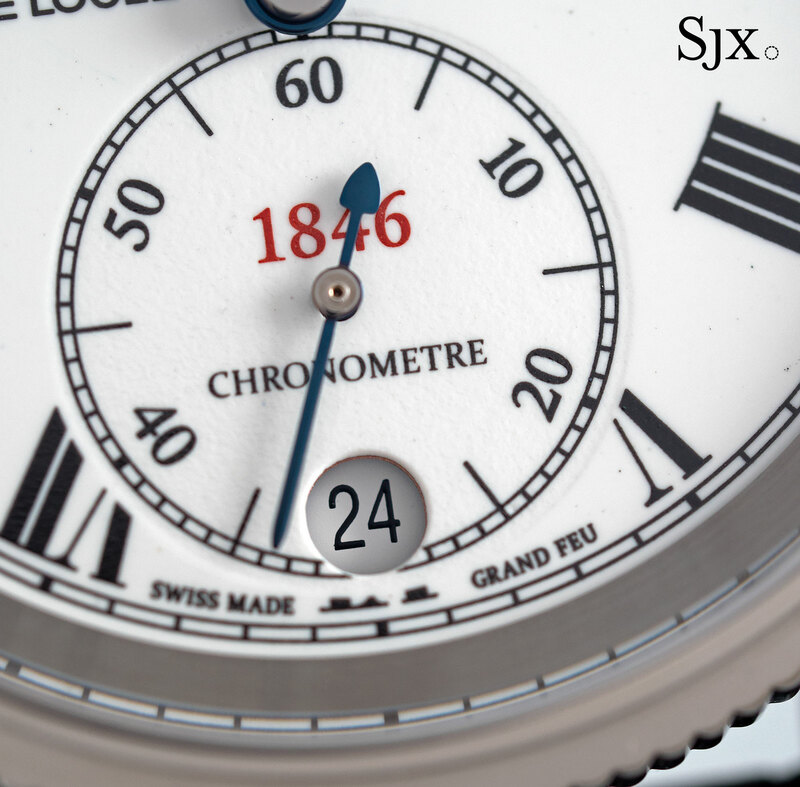 While antique marine chronometers had the serial number in red on the sub-seconds, on the wristwatch version it’s replaced by “1846”, the year of the company’s founding. And naturally actual marine chronometers did not have a date window, though the original wristwatch of 1996 did. 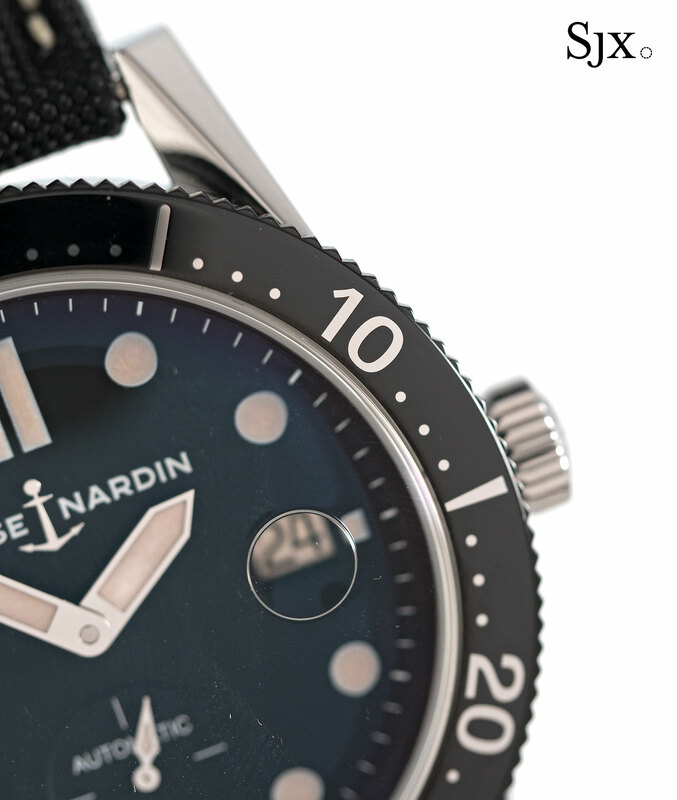 Vintage marine chronometers had metal dials, but the Marine 1846 has a vitreous enamel dial. It’s glossy and hard, with the surface unevenness that’s characteristic of fired enamel. 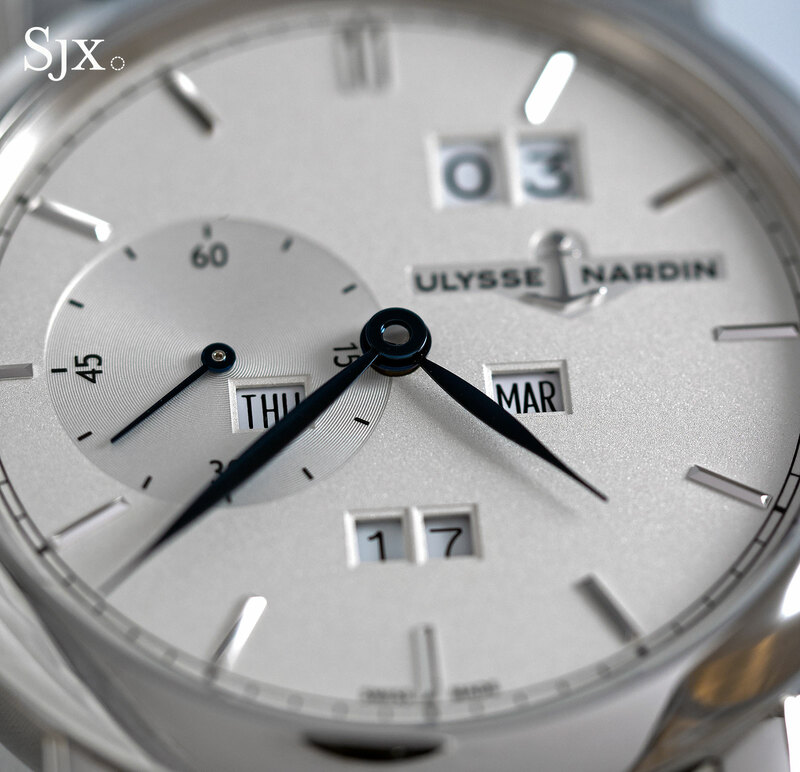 Like the 1996 original, the Marine 1846 has a solid back engraved with all of the 18 gold medals Ulysse Nardin won at world’s fairs, starting in the late 19th century. 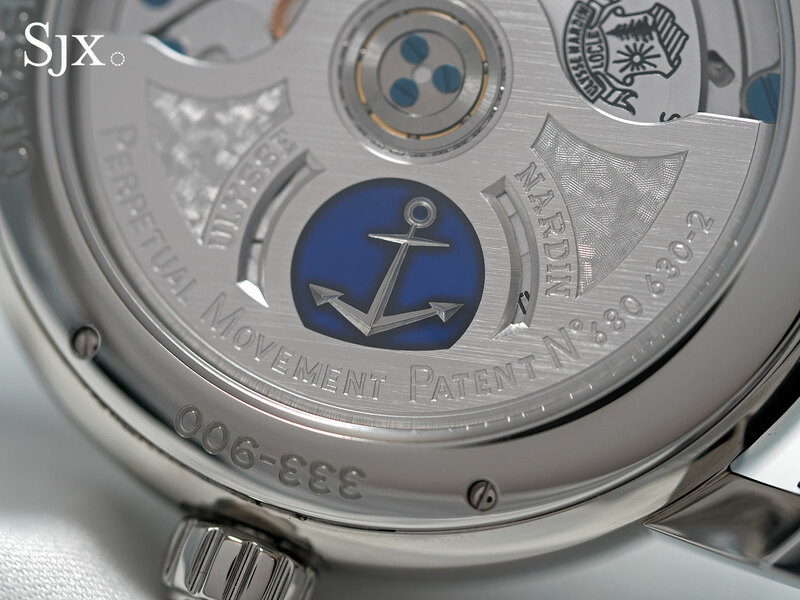 Under the back is the UN-118, an automatic in-house movement. 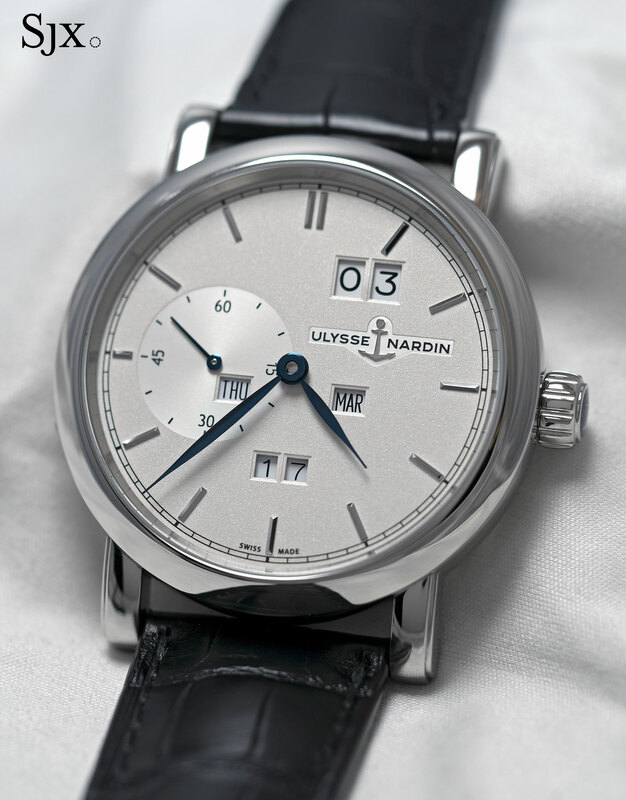 The Marine 1846 (ref. 1183-900/E0) is priced at SFr9900 or S$15,300, and will be available starting June 2017. Now over 20 years old but still one of the most innovative perpetual calendars ever designed, the Perpetual Ludwig got its name from its inventor, Ludwig Oeschlin. Now best known for his own brand, Ochs und Junior, Oeschlin devised the perpetual mechanism to be legible, robust and simple. So all the calendar displays are in windows, and the mechanism can be set forwards and backwards via the crown. In fact, when the hands are moved backwards, the date follows suit. The reissued Classic Perpetual Ludwig is strikingly similar to the original of 1996, but bigger and streamlined. 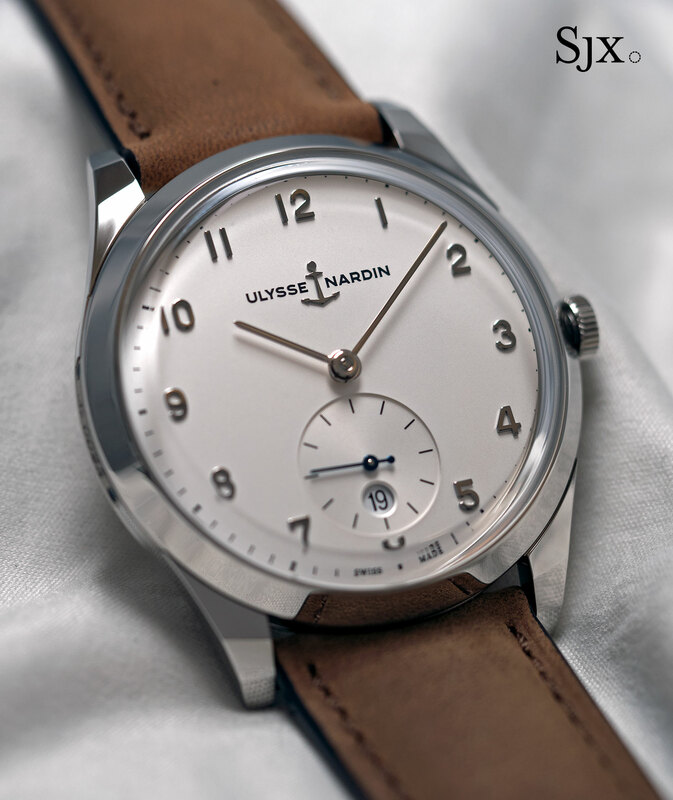 The dial is a bright silver with a fine grained finish, as well as facetted baton markers and blued steel leaf hands. It’s a conservative but eminently legible look. Now a substantial 41mm in diameter, the original was just 38.5mm, the Classic Perpetual Ludwig retains the same calibre UN-33 as in 1996. 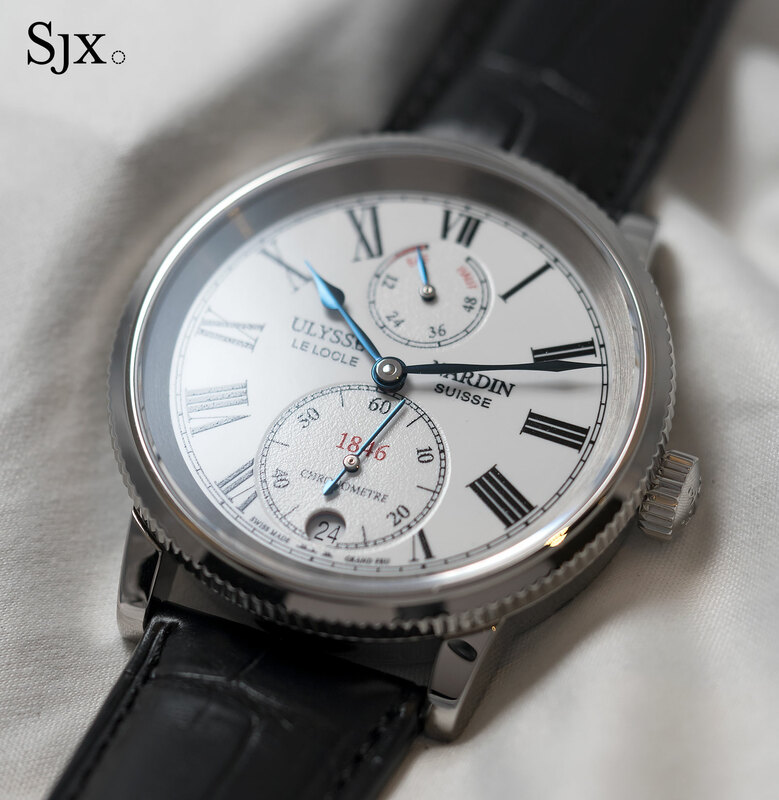 It’s automatic and based on a movement developed by Lemania for both Ulysse Nardin and Ebel in the early 1990s. But because the case is now significantly larger, but the movement remains the same, the calendar displays are proportionately smaller. They remain usefully legible, but the proportions of the original have been diluted. 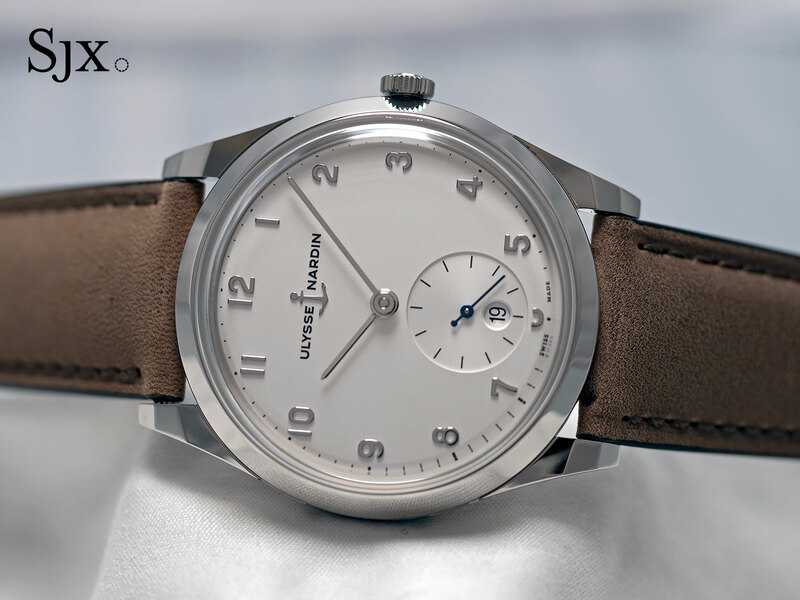 The Classic Perpetual Ludwig (ref. 333-900) will be available starting April 2017, priced at SFr19,800 or S$30,500.